Another Parade! What to Wear? 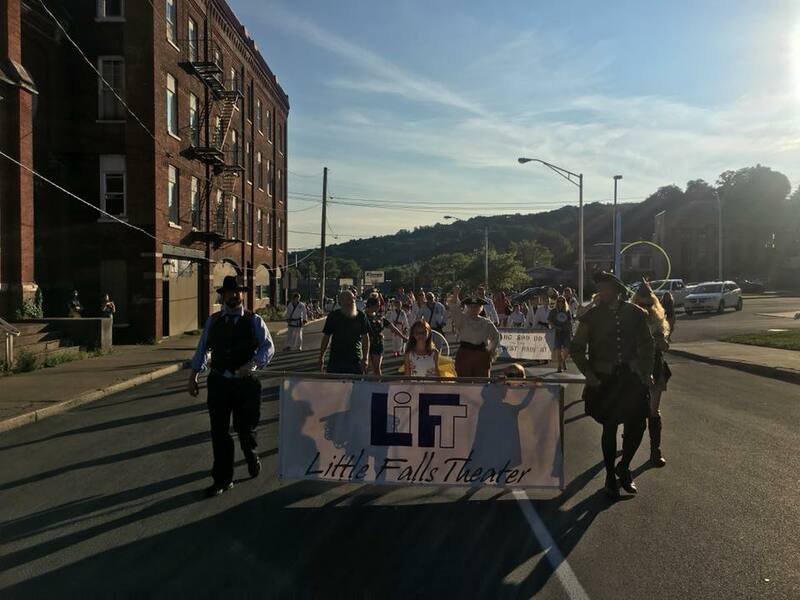 Regular readers may recall that LiFT, Little Falls Theatre Company, is not doing a Shakespeare play this summer. This has rendered the summer a less busy and a little sad. 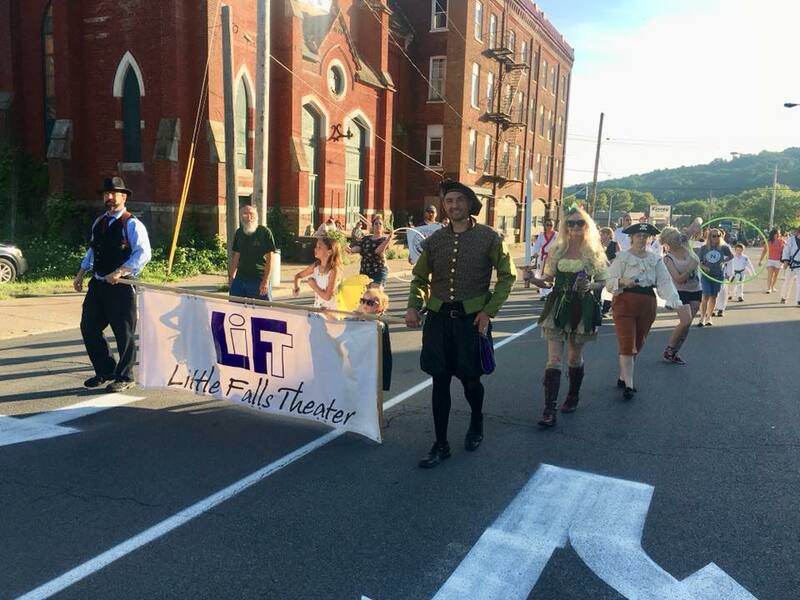 This weekend is the Little Falls Canal Celebration, one of the venues we perform at. 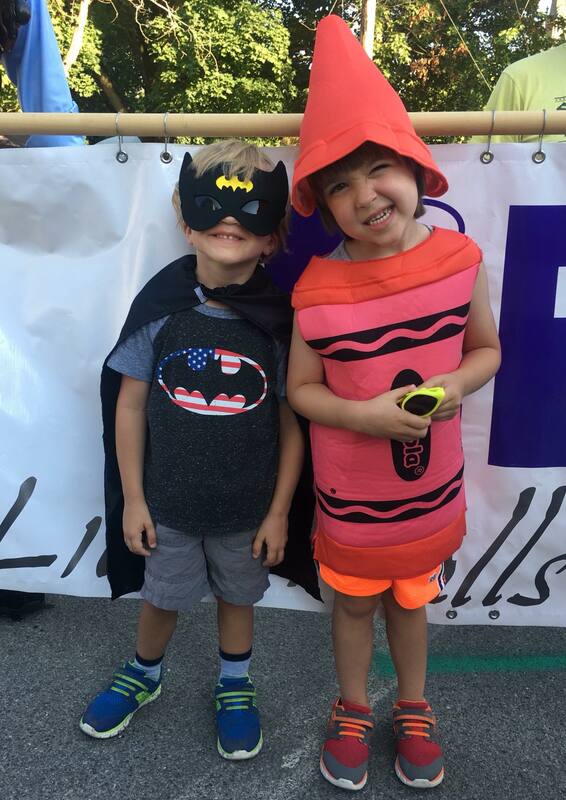 However, LiFT will have a presence at the parade on Friday, Aug. 10. But what to wear? 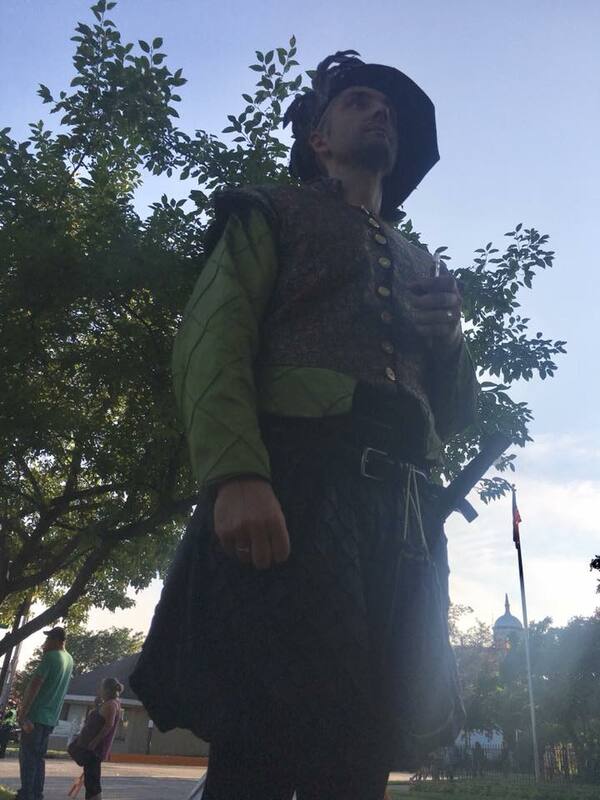 I could NOT wear my wizard costume again! I wore it for the Doodah Parade in Ilion. It would be a faux pas to wear it again so soon, even if I switched back to the wizard hat I wore for the March of Dimes in May. And, yes, I did pretty much have a silly expression on my face most of the time I wore the outfit. 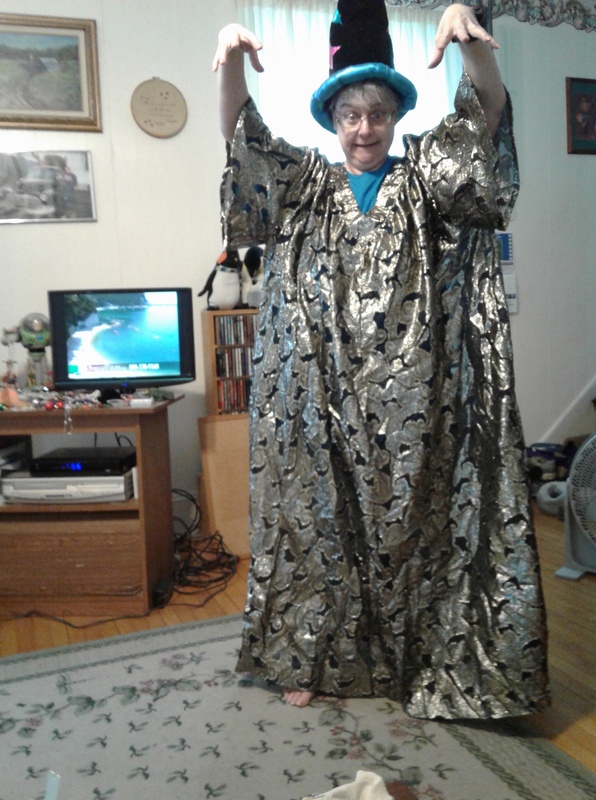 I append a couple of pictures for those of you who missed my wizard-attired exploits (and to pep up the post, like I did yesterday). The above was a rehearsal of the outfit for March of Dimes March for Babies. I also made myself a wizard wand with a knitting needle, a few odds and ends, and a hot glue gun. I can be dangerous with a hot glue gun. I modified the outfit slightly to march in the Ilion Days Doodah Parade. I was a hit with the crowd, if I do say so. I wore the witch’s hat, because it has a brim to offer shade from the sun. I added the sunglasses for the same reason, and the necklace just because I liked it. My dear friend, Kim, gave me the wooden wand. 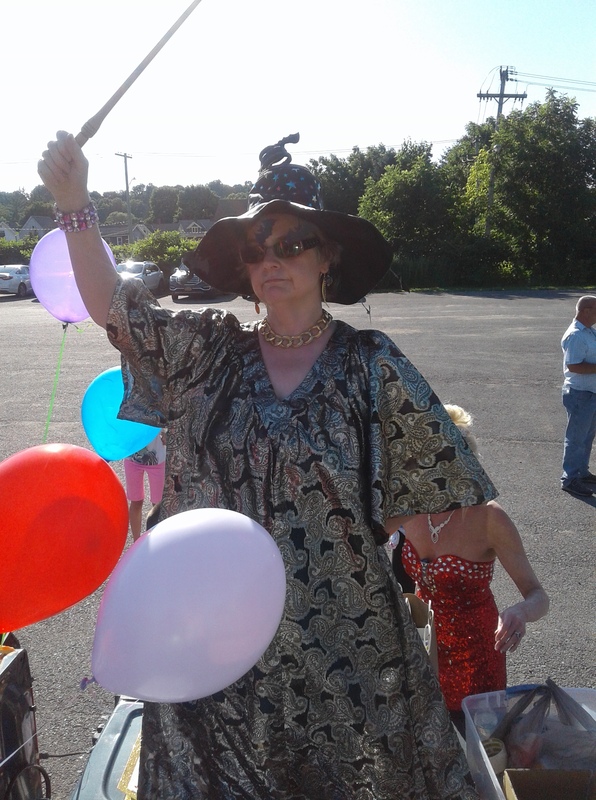 I still had my homemade one, so I used both to cast spells on the crowd as I rode in the back of the pick-up truck. But I need something different for Friday. Something light, and light colored. Maybe a set of wings from the dollar store. Maybe a quick trip to the Thrift Store. What can I come up with? I spent most of the morning at work pondering options and formulating plans, while trying to stay hydrated and not get too far from a fan, because hot and humid seems to be a way of life these days. Regarding the latter part of that last sentence, let’s just say I was not successful. I am susceptible (wow! I spelled susceptible right on the first try!) to heat injuries. I got too light-headed and nauseous (I had to google nauseous) to handle it, despite the perseverance that has seen me through many difficult runs. I went home, ignobly calling my husband for a ride, because the nurse didn’t want me to drive and neither did I. So I am really re-thinking this march through the heat in a costume idea. However, I hate to let my LiFTer friends down, especially my friend Kim. And I have lost a whole afternoon I could have been working on a costume, because I am still feeling like crap. In fact, I wasn’t even going to make a blog post today. I was going to take a blogger’s sick day. But look at me, I am over 500 words with two pictures. That’s one thing I did right today. Let’s see how I do tomorrow, on Wuss-out Wednesday. 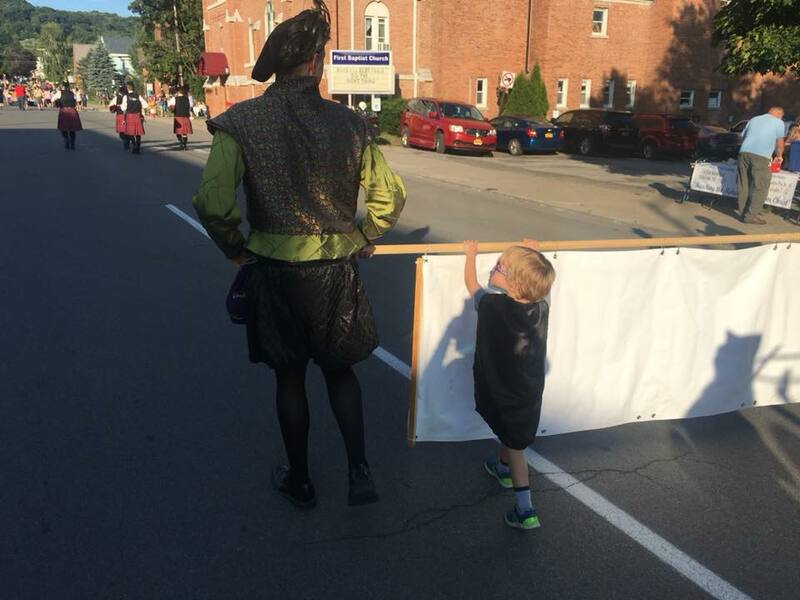 Posted in Community Events, humor, personal and tagged blog post, bloggers sick day, blogging, Canal Celebration Parade, DooDah Parade, heat and humidity, LiFT Theatre Company, Little Falls Canal Days, Little Falls NY, parade, wizard costume, wizard wand. Bookmark the permalink.